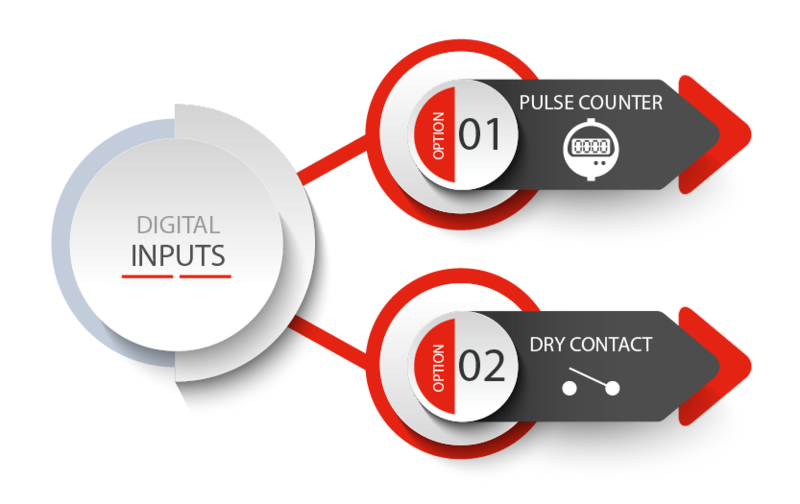 MIO 24 has 4 analogue inputs, 2 voltage-free digital inputs and 2 digital relay outputs. It fits any facility. 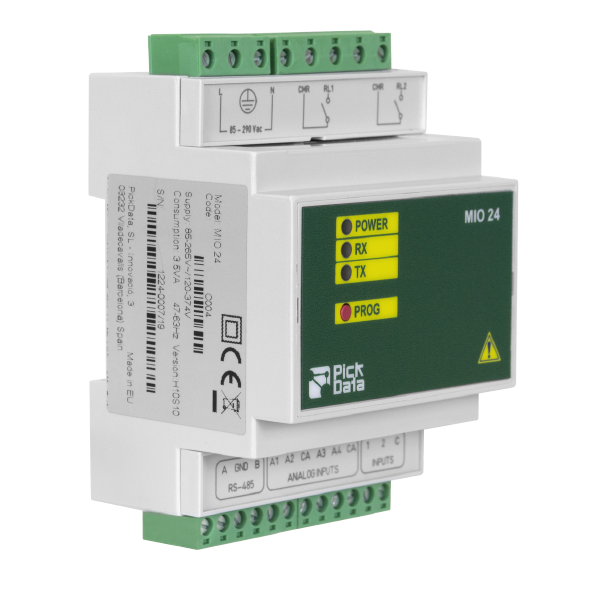 MIO 24 is an industrial signal centralizer with four analogue inputs that operate in the range 0 to 20 mA, two voltage-free digital inputs and two digital relay outputs. The device has removal connectors for power supply (85-265 Vac), inputs/outputs and RS-485 communications.